Individual sessions are designed to address thoughts, feelings & behaviors as well as the social and spiritual effects of chronic illness. Within the context of family, friends & self-care, we will set goals for improvement. Individual sessions are designed to explore and identify any negative or unhelpful thoughts, feelings or behaviors surrounding you chronic illness. 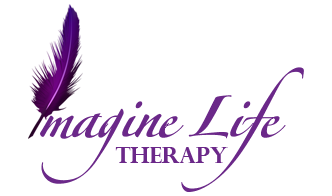 We will work together to create a whole new life meaning and purpose for you that incorporates improving your physical health and chronic pain or other difficult symptoms. Within the context of family, friends & self-care, we will set goals for improvement. Don't want to commute or havea hard time getting to appointments? Choose the convenient option to utilize Therapy through a HIPAA compliant and confidential video program. Chat with your Therapist from the comfort and convenience of your own home with our Video Therapy and Online Scheduling option. Don't want to commute or have a hard time getting to appointments? Choose the convenient option to utilize Coaching through a HIPAA compliant and confidential video, telephone and messaging program. Chat with your Life Coach from the comfort and convenience of your own home with our Video/ Telephone Coaching and Online Scheduling option. Are you ready to take the next step? Schedule a FREE Consultation, your Regular Therapy or Coaching Session online today with our convenient and easy scheduling system! I know seeking out support during difficult times can be hard - admitting that we need help is even harder! Taking the first step to reach out means you have already started growing. I am happy that you are here! Schedule your FREE 15 minute video consultation OR schedule your first appointment with us online!